Peter Pan and Tinker Bell soar high above Never Land on their way to adventure. 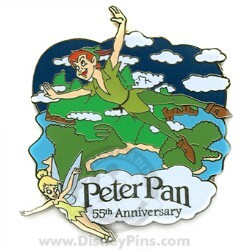 Commemorate the 55th anniversary of Walt Disney's Peter Pan with this limited edition pin. 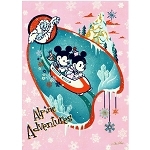 Rachel Sur from Disney Design Group created the artwork for this pin. This classic animated film was originally released on February 5, 1953.